Your dream Boulder lux home is here! Stunning Country Club Estates property nestled in cul-de-sac, oozing elegance & owners pride. Long, setback driveway leads to a pristine beautifully landscaped .38 acres lot, & into an immaculate 4 beds/3.5 baths, plus office, executive home, thoroughly updated from the inside out. 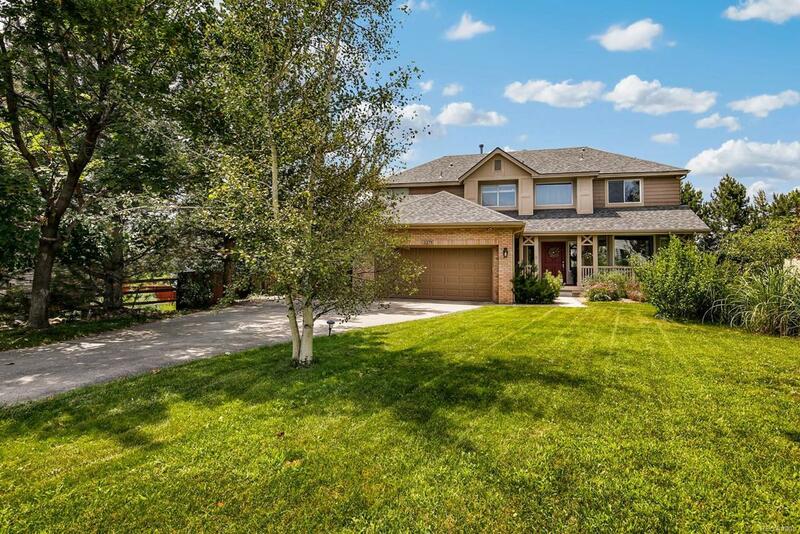 Be greeted by a grand 20 ft ceiling foyer, new oak hardwood floors & mountain views. Gourmet eat-in kitchen, featuring new Jenn-Air S.S. appliances, marble slab countertops & sliding door access to brand new deck. Incredible owners retreat with vaulted ceiling, walk-in closet & breathtaking spa bath with steam shower, free-standing soaking tub & radiant heat flooring! Crisp paint, crown molding, oversized picture windows, new fixtures & LED recessed lighting. Brand new roof, HVAC & 2 H2O heaters. Bright garden level basement offers multi-use rec room, guest suite & bath. Exclusive golf community, with fantastic Clubhouse, pool, park & so much more! Must be seen! !